National Youth Leader Training – Council run. Recommended for the boy leaders of your units. Wood Badge for youth. Required for you to be about to go to Winter Camp, Summer Camp, Twilight Camp, etc. Face To Face Youth Protection Training - Free Sign up here. This coming Sunday there is a special Open House we can bring our friends and neighbors to at the Scout Office in Faireview. Sunday, December 7th from 2:00-5:00 p.m. at the Bobby Lyle ♦ Billy Gamble Scouting Center, located at 5600 US Highway 75 South, Fairview, TX. See the flyer here and let us know you are coming here. Troops come setup a table to highlight your troop. Webelos and parents, come visit the troops on Thursday, December 4th. This will be the Boy Scout and Cub Scout Round Table for December. We will be at the LDS building; 2801 Eldorado Pkwy, McKinney, TX. See you there. Webelos Meet the Troops Night is Thursday!!! See you there. other items. You are entered each time you recruit a new Scout. RECRUIT 3 FRIENDS AND GET 3 CHANCES TO WIN. Troop 406 is offering its annual Webelos Activity Badge College on Saturday, November 15th from 8 am to noon at the pole barn at Myer's Park. Come as den, come parent and Webelos. It is free. See their flyer and registration information here. The 2nd B.S.A. Archery Tournament to be held at Texas Archery Academy on November 8, 2014. You can find additional information on the Circle 10 website http://circleten.org/ under the event registration section. You can also register and pay for the archery tournament in CampMaster at https://circle10.camp-master.com/default.aspx. The tournament is open to Cub Scouts from the rank of Bear to Webelos II and all Boy Scouts to Venture Crews. The divisions will be as follows for Cub Scouts: Bears, Webelos I and Webelos II with Gold, Silver, and Bronze medals for the top 3 archers in each division. The Divisions for Boy Scouts will be as follows: 10-12, 13-14, 15-16, 17-18, 19-21, but we reserve the right to split divisions with a large number of scouts. All of the equipment will be provided by Texas Archery Academy, however a scout may use his own equipment as long as the equipment meets the following standards: The bow has a draw weight of 26 lbs. or less, does not have any sights or sight marks, does not have any stabilizers. All archery equipment will be inspected by the Director of Shooting or a range master before the scout will be allowed to use his/her equipment. All archers must release the string with their fingers, no triggering devices will be allowed. The American Legion Post 96 invites all LoneStar District Scouts to gather at the Ridgeview Memorial Park and assist in placing flags on soldier's graves to honor those men and women who served in the U.S. military in observance of Veterans Day (which is on 11/11/2014). This counts toward service hours. Calling all District Commissioners meeting. For November please come to our meeting at a different day and time. Thursday, November 6th at 6 pm right before Round Table. See you there. Inviting all Crew Advisors and crew YOUTH leaders to the November 6th Round Table at 7:30 pm at the LDS buiding on Eldorado; 2801 Eldorado Parkway, McKinney, TX. We will have guest Crew Advisors and leaders as our program. The Cub Scouts will also be having an awesome Round Table of their own. Getting ready for Pack and Den Meetings. There will also be a Twilight Camp Feedback meeting at 6:45 pm before Round Table. Let's review and get ready. The Powder Horn course is designed to help the unit by introducing older youth (16 and up) and adult leaders to safely conducted outdoor high-adventure activities of a fun and challenging nature. The course provides an introduction to the resources needed to successfully lead youth through a program of outdoor adventure and is based upon giving participants an exposure to some outdoor / high-adventure activities. lt is not a certification event. lt is for any youth or adult interested in experiencing a unit-level high-adventure program. Sign up now & reserve your spot at circle10.camp-master.com see their flyer. Fri & Sat, November 7th & 8th, 6 pm Fri to 10 pm Sat at Myers Park, McKinney, TX. Adjacent to the IOLS adult training. Sign up for Oak Leaf here. It is time once again to have all the Charter Organization Representatives join the District Committee in voting for the new district chairman and leadership. Please join us at the LDS building on Eldorado where we hold Round Table at; 2801 Eldorado Pkwy, McKinney, TX. Then we would invite you all to remain for the normally held monthly District Committee that will be held immediately following at 7:30 pm at the same place. Intro. to Outdoor Leader Skills – Needed by Troop SM, Team Coaches, and strongly suggested for Crew Advisors and assistants. Calling all district advancement committees, unit advancement chairs and any other Scout leader that manages advancement within a pack, troop or crew. Circle Ten Council is hosting a day-long training experience which will provide the participants with a thorough understanding of advancement in packs, troops and crews. They will cover a number of topics of general interest to all participants in the morning including the new edition of the Guide to Advancement and three breakout sessions in the afternoon will address topics concerning advancement specific to packs, troops or crews including the changes in the Venturing and Cub Scouting advancement programs that are coming out in the next calendar year. One session will also be dedicated to understanding and using the Internet Advancement System. The day long training is designed to provide the participants with the necessary tools to assist districts and units with their own “Journey to Excellence.” We will also teach a segment on the new STEM awards programs. There is a nominal charge for lunch and course materials of $15, if you register by October 13th. After the 13th, the registration fee will be $20.  Wood Badge, NYLT, OA, etc. Get more information and sign up details on their flyer here. FALL Trainings - All the trainings coming up in one place this fall. We have a number of Fall Trainings coming up we would love to see you at the ones just right for you. Cub Leader Specific, Tues, Oct 21st, 6:30 – 9:30 pm, $5 early or $8 late reg. Sign up and get details here. (both days required, includes guide book) Sign up & get details here. We have a few more trainings that start Thursday you can still come to. Face To Face Youth Protection Training, Thur, October 23rd, 7:30 - 9:00 pm, Free, Sign up here. Sign up quick. The early bird deadline for CUBe is fast approaching. Payment needs to be into the Fairview office by Friday the 18th or the prices for CUBe jump from $10 for Cubs and $5 for siblings to $15 an $10. Sign up and pay now. Calling all District Committee, Commissioners, and Unit Leaders. Come “Meet and Greet” our new District Executive Tim Mason this coming Monday, October 20th at 7:00 am at the Fairview Office We will have Coffee and Donuts. Terry Witt, who with his wife runs all of our district archery ranges, is offering an Archery Merit Badge class. October 11th 9:00 AM to 12:00 PM at Texas Archery Academy Plano Range. The cost is $25. All equipment will be provided. To register for the class e-mail Terry Witt at TerryWitt2@att.net. Class Size is limited to 20 scouts. We are holding a Round Table for Scout Leaders that you won't want to miss. We meet at the Church of Jesus Christ of Latter-Day Saints building at 2801 Eldorado Parkway in McKinney. This month at 6:45 pm before Round Table we are have each Pack send a representative or two to help plan our upcoming Nov. 1st CUBe (Cub Experience). Who: ALL Cub Scout Leaders and Parents are invited. The Pack with the most representation… wins a Pack Meeting Sponsored by USA Martial Arts on El Dorado – Respect / Courage / Self Defense will be taught and you don’t need to plan it! Just show up!! Be sure to pass this invite along to your Pack so your Pack can win – car pool if needed to get all Den, Committee, Cub Leaders there Thursday night at 7:30! What: Come learn new skills, new ideas, new roles, new leaders, new program and network! How: By having fun and learning skills. Come join the games as we learn together: Cookie Character Value Walk, Fishing for Good Help Pond, Wheel of Ideas to Spin into Action. Sure to be the best fun of the week! And we will be done by 8:30 – oh my! We will introduce our District Commissioners there and to talk a little about what the Commissioner can do for the unit, the Key Three and the District. We hope to see you there. After we do the flag ceremony for Round Table we are holding Chapter Meeting in the southwest corner room. We would love to have you there. This week we are holding 2015 Chapter elections. New positions are effective December 1. Positions are chapter chief, vice chief of inductions, Native American, service, administration, communications / technology, and LDS relations. Anyone can run they just need to be current in their dues. People who have questions can email me at ccrawford98@sbcglobal.net. The more people they bring with them, the better chance they have of getting elected. The Circle Ten Council Training Committee has distributed a "Unit Training Status" email to all Unit Key-3 Leaders who have a valid email on file with BSA. If you are a Unit Key-3 Leader and did not receive that email first check your spam/junk mail folder. If there, make sure you whitelist/allow email from the c10training.org domain. If not there, send an email request to admin@c10training.org and the report will be forwarded to you. Please specify your Leadership Role, Unit and District information in your request. Everyone, Key-3 Leader or not, should confirm your http://myscouting.org account profile reflects your current contact information. If you do not yet have a http://myscouting.org account please create one so you will have the ability to not only update your profile but take online classes, review your documented training and be prepared for the next generation of online tools coming soon! There are links at that address which will guide you through the account creation process. Thank you for all that you do to support the youth in our Council! Terry Witt, who with his wife runs all of our district archery ranges, is offering two Archery Merit Badge classes. Basic Cub Scout Adult Leader Outdoor Orientation – Needed by at least one or two persons from a pack for pack camping. Sign up for BALOO here. Outdoor Webelos Leader – Needed by the den leaders for a Webelos den to camp and for the training knot. Sign up for OWL here. Interested in the Fall Wood Badge course? Then they need you to sign up immediately. RSVP by Tues. Sep. 9th here. Check out the OA Fall Fellowship below. We would love our chapter to be well represented. Sign up at www.miki.org The 2015 Lodge Officer Elections will be held at the event. Deadline for applying is Saturday, August 9th at 12 noon. We are holding a Round Table for Scout Leaders that you won't want to miss. We meet at the Church of Jesus Christ of Latter-Day Saints building at 2801 Eldorado Parkway in McKinney. We are training for Join Scouting Night. Each unit should be represented. We are are talking about how to plan for Summer Camp. We will discuss selecting a summer camp and about all the different resident camps in the Southern or Western Region. We will have a National Spokesman for those regions as a guest. After we do the flag ceremony for Round Table we are holding Chapter Meeting in the southwest corner room. We would love to have you there. Come learn about the upcoming projects and get ready for chapter elections next month. 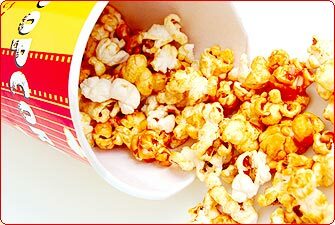 Attention All Units… I am excited to be returning as the Lone Star District Popcorn Chair this year. Circle 10 and Trail’s End have some exciting new changes in store for the 2014 Popcorn Campaign. It’s time to get your 2014 Unit Popcorn Captain in place now. If you know who your 2014 Unit Popcorn Captain is, please send their contact information via email to lonestardistrictpopcorn@gmail.com. Every unit wants a quality scouting program. Popcorn offers your families a simple, safe, effective, fundraiser that helps teach scouts salesmanship, speaking skills, confidence, and the value of earning his own way. If you have any questions, please feel free to contact Gloria Albertson via email at lonestardistrictpopcorn@gmail.com or via phone at (214) 244-2966. 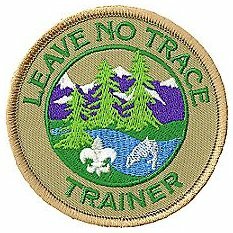 Interested in becoming a Leave No Trace Trainer? We have a local course for you on Friday and Saturday, August 22nd and 23rd at the Chambersville Tree Farm. It is $35 and you must be at least 14 years old. For more details and how to sign up see the flyer here. On August 23, 2014 from 9:00 am to 2:00 pm at the Circle Ten Council Murchison Service Center, a great team comprised of mainly Venturing youth will present the new required training program for any adult who works directly with Venturers. This is required position-specific training for Crew Advisors and Assistant Advisors. Registration is already open on Campmaster and the fee is only $6.00 including lunch. Afterwards, there will be a workshop for people who are training Venturers in each district. Please visit this link to register http://circle10.camp-master.com. Want to sneak into the August, Philmont Wood Badge course? Then you better act now. For all leaders; Pack, Troop, Teams, and Crews. A premier training. It makes good leaders better. This week is Round Table. Come start the year and learn about everything the district and council has lined up for you and your unit. There will be plenty of one on one with the various committee functions of the Lone Star District. We want to see all leaders there. Bring everyone but at least have one from you unit there. Thanks for a great camp. Start thinking about next year. Check out our first District Promotional Video! and check out our second! August 18-23, 2014, Philmont Training Center, Cimarron, NM. Council run. Thu to Sat, September 25-27 and Thu to Sat October 16-18, 2014 – Beautiful Camp James Ray, Pottsboro, TX. Council run. Sign up now and reserve your spot at https://circle10.camp-master.com/ see our flyer here. Webelos, the registration for the Overnighter is still open at lonestar.mescout.org. Be sure to sign up soon. Webelos, the registration for the Overnighter is now open at lonestar.mescout.org. Be sure to sign up soon. In place of Round Table we have the following at the LDS building at 2801 Eldorado Pkwy, McKinney. One of these orientations is required for adults coming to help at Twilight Camp. East half of gym. For all leaders. Program Preview is the time and place to come and learn everything about what the council and district are doing. You don't want to miss this. For any adult needing it for camp. East half of gym. Webelos, the registration for the Overnighter is now open at http://lonestar.mescout.org. Be sure to sign up soon. There are only 9 spaces available at the Lone Star District Twilight Camp. Make sure to register today. The American Legion Post 96 invites all LoneStar District Scouts to gather at the Ridgeview Memorial Park and assist in placing flags on soldier's graves to honor those men and women who died while serving in the U.S. military in observance of Memorial Day (which is on 5/26/2014). Webelos Overnighter at the end of Twilight Camp - Registration is available now! The signup is online for the Webelos Overnighter. The cost is $15 which includes a Webelos and parent and they can sign up at lonestar.mescout.org. Memorial March provides an opportunity to walk for 20 hours and 14 minutes to remember, honor, and celebrate our nation's heroes. You can join in the Memorial March at any time during the 20 hours and walk even for just a few minutes. Everyone is invited to participate no matter what your fitness level or ability. There is no fee to participate in Carry The Load. See CarryTheLoad.org for more details. about what the council and district are doing. If you still need it for camp. We have invited a number of different presenters to man a table concerning Merit Badges that units could do during the summer that are not usually done through the year. The Diocese of Dallas Catholic Committee on Scouting invites Boy Scouts and Venture Crew members to a Catholic Boy Scout Retreat at Camp Wisdom. Our camporee was a big success thanks to you. We have a number of Spring Trainings coming up we would love to see you at the ones just right for you. Come get your IOLS training done with us at the end of April at Myers Park. Needed by Troop SM, Team Coaches, and strongly suggested for Crew Advisors and assistants. Come have an awesome time and get trained at our local training for youth by youth at the end of April at Myers Park. Here is a map. See you soon. not marked well for the turn onto College Ave. The best route to the POW Camp Park is to use Yorkshire Dr.
Take US 380 E from McKinney to Princeton. Turn left onto Yorkshire Dr (Between Dollar Store and Exxon). Turn left onto College Ave.
Bear left on College Ave. and proceed to Park. We are also doing a Face to Face Youth Protection Training at Camporee for any adults who need it at 10 am. It is free. We are having a makeup District Crossover at Camporee for those of you who were unable to make the recent District Crossover. It will be at the District Camporee on Saturday, April 12th just before the Camp Fire Program and Order of the Arrow Call Out. More details to come. If you did not previously sign up for the Crossover Ceremony and would like to participate please sign up here. Don't forget that the Annual Council Recognition Dinner is this Thursday, April 10th, if you signed up. They will be recognizing the 2013 Eagle Scouts and the Silver Beaver recipients from around the Council. It is at the Plano Centre. Fri to Sun, April 11-13 and Fri to Sun April 25-26 – Beautiful Camp James Ray, Pottsboro, TX. Council run. Wednesday, April 2, 9, 16, 23, & 30, 2014 7 to 8:30 pm at the Fairview Scout Office; you must register ahead here. We have had a change in District Executives and Andrew Rooney will be our new District Executive starting Monday, March 17th. If you need to get a hold of him he can be reached at 703-955-6881. Please welcome Andrew to the Lone Star District. We have some awesome outdoor trainings coming up soon that enable your Pack or Den to camp. Sign up now. This is the last month to hold Order of the Arrow Elections at your Troop or Team. Please sign up now. Troops and Teams of Lone Star District hold unit elections to nominate their members for the Camping Honor Society of Scouting, the Order of the Arrow. Elections can be held between December 1st and March 31st at one of your troop or team meetings. Sign up when it is best for you now and we'll send an election team from the Wicahpi Chapter of the Order of the Arrow to your meeting. Cub Leader, Not offered in the Spring. Take it online. We'll offer it again in the Fall. Our District Camporee is coming up on April 11-13 (Sunday is optional). We would love to have every Troop, Team, and Crew there. We will again be at the POW Camp in Princeton. Our theme is "Keep the Fire Burning". Registration by unit will be up shortly. For now please think about what your unit can do at the camp. We need each unit to contribute to the success of the event in some way. Twilight Camp Planning Meeting - 6:45 pm - We need someone to come from each unit. Registration deadlines for camp are in April. Planning is needed now. Camporee Planning Meeting - 6:45 pm - We are planning our April 11-13 District Camporee. We need you and your youth. LDS building, 2801 Eldorado Pkwy, in McKinney. Come get ready for your next month's Pack and Den Meetings. We always have fun and have ideas you can add to your program. CAMPOREE - "Keep the Fire Going"
We will be discussing and planning Camporee this week for Round Table. Scoutmasters please invite your Senior Patrol Leader to come as well to share their input with the planning committee. The OA will be having a guest teaching advanced first aid. They will also be making plans for staffing Camporee. We will be awarding some Wicahpi Staff Patches Thursday night! Come to the meeting to learn how to earn yours! There will be snacks available at the meeting so bring $1 or $2 if you want to eat! There are a few units that have not signed up for unit elections yet. All elections must be complete before the end of March. It is official. We are moving inside and will occupy what they call the "Stall Barn". It is the south most barn on their property. See the map. There is a Twilight Camp meeting scheduled for Thursday, February 20th 6:45 PM at the LDS Church (2801 Eldorado Parkway). Please make sure that you or your Pack Coordinator attends this meeting as we are behind in planning camp. For those of you units who signed up for Camp Cards don't forget to have someone from your unit attend the Camp Card Kickoff on Tuesday, February 18th at 7 pm at the building we hold Round Table in; 2801 Eldorado Pkwy, McKinney, TX. If you have any questions, please contact the Lone Star District Camp Card Chair, Gloria Albertson, via email at lonestardistrictpopcorn@gmail.com or (214) 244-2966. Scouting for Food is just around the corner. Please sign up and let us know your unit will be helping. More details to come. We need our Order of the Arrow members to sign up to help at the McKinney Food Pantry on February 15th. Sign up on the OA website here. Camp card sales are just around the corner! The Camp Card program is a fundraising effort specifically designed to help the youth fund their own way to Summer Camp, reducing out-of-pocket costs for parents and families while teaching youth the value and benefits of earning their own way. Sign up your unit by February 11th for the Camp Card Sales by clicking here! The camp card kickoff will be held February 18th at the building we hold Round Table at. Thanks to everyone who participated in the 2nd Annual Lone Star Orienteering Challenge to make it such a great success. If you didn’t make it to the event, be sure to include it in your unit’s annual planning this year. Get the 2014 results here. Thank you for a great District Dinner. Take a look at our 2013 Eagle Scouts who came and those who were awarded our 2013 District Awards of Merit here. It is time for the rest of the units in Lone Star District to complete and turn in their recharter. Bring your completed recharters to turn them in on Thursday, February 13th from 6:30 to 8:30 pm at the LDS building we hold Round Table in; 2801 Eldorado Pkwy, McKinney. If you are having problems and need some help this is a great time to come and get that help as well. You and your Scout are invited to participate in this year's council wide Scout Shabbat. The annual celebration of the bonds between Scouting and Judaism. Get more details and let them know you are coming here. Due to the inclement weather it has been decided to cancel Round Table tonight and the Order of the Arrow Chapter Meeting and all the meetings held before Round Table (Twilight Camp and Camporee Planning). We still need our Order of the Arrow members to sign up to help at the McKinney Food Pantry on February 15th. Sign up on the OA website here. Please watch for an update about pantry training times. Round Table Topics for 7:30 pm February 6, 2014! The theme to February Cub Round Table is "Pet Pals" . The Core Value highlight is Compassion. The break out discussion topic is "Cub Crafts"
Where are your Scout Socks? Five things not to say in a Board of Review. Fifteen things to make your Board of Review's rock. What if a Scout doesn't know his stuff? Where should I look for good BOR questions? What to do about parents and BOR issues? How does someone get trained to do a BOR? What resources does the district offer? Don't forget about the TwiLight Camp Meeting for Cub Leaders and the Camporee Meeting for interrested youth (OA and otherwise) and adult leaders of the district before Round Table at 6:45 pm. Round Table is for all adult leaders to better learn their positions and to keep up with Council and District information. It is held each month on the first Thursday at 7:30 pm at the LDS church building at 2801 Eldorado Pkwy, McKinney, TX. We'd love to see you there. Don't forget to bring your Order of the Arrow youth to the Chapter meeting at the same time and place as Round Table. Registration is now up for the Lone Star District Dinner. Come and recognize our outstanding unit and district leaders as well as our Eagles for 2013. 5:00 pm Registration, 5:30 pm Dinner, 6:00 pm Program. The cost is $15 per person if you register before 1/20/2013 or $20 after that. 2013 Eagles eat for free, but registration is required so we have the right amount of food. Sign up online, get email confirmation, and pay by calling, mailing in, or visiting the Fairview Scout Office. Calling all commissioners. This month's Commissioner Meeting is on Tuesday, January 14th at 7:30 pm at the LDS building we hold Round Table in. See you then. Early registration ends at 6:00 PM on January 14th. Pre-registration and pre-payment are required. Registration includes all fees for the Orienteering Event, Board Game-O and event patch. Early registration fee is $15.00 per participant. Registration fee after the deadline will be $20.00 per participant. Registration is open to all Boy Scouts, Venture Crews, Varsity Teams, and Webelos. NEW! Webelos Team Classification this year! Sign up and get more details here. The deadline is close for the awards to be presented but hurry and you might get something else in. Registration is now up for the Lone Star Orienteering Challenge on Jan 17-19. Pre-registration and pre-payment are required. Registration includes all fees for the Orienteering Event, Board Game-O and event patch. Early registration fee is $15.00 per participant. Early registration and payment deadline is 6:00 PM Tuesday, January 14th. Registration and payment received after the deadline will be $20.00 per participant. Registration is open to Boy Scouts, Venture Crews, Varsity Teams, and (new this year) Webelos. Cub Leaders, please have someone from your unit come and meet with the Twilight Camp Team to start ramping up for Twilight Camp. We want to get your feedback, start discussing the theme, staffing, pricing, and where to sign up, etc. We need all units to be represented. Troops come setup a table to highlight your troop. Webelos and parents, come visit the troops on Thursday, January 2nd at 7:30 pm. This will be the Boy Scout Round Table for January. We will be at the LDS building; 2801 Eldorado Pkwy, McKinney, TX. See you there. This is the meeting we missed due to weather in December. Don't forget about the University of Scouting this coming Saturday for those of you who signed up. We look forward to seeing all of you there. The University of Scouting is an adult leader’s learning adventure! It is an action-packed,fun-filled single day of supplemental training where you choose the sessions you wish to take. Sessions are led by experienced volunteers and professionals who will help you enhance your ability to deliver a fun and exciting program to the scouts. Registration is available now! What: Join us for a Dinner as we give thanks to everyone that made the 2013 Scouting year count! Calling all LDS committee chairs. Jordan Ray, the field director over our district, will be at the Eldorado LDS Building to accept the paper portion of the December recharter this coming Wednesday from 6 to 8 pm. Stop by with your completed paperwork and meet Jordan. Please speak with your unit commissioner if you have any questions. We do have one suggestion for your online recharter. It is required that you use Internet Explorer to run the online recharter website. Since the qualify of the program this year by National Council the Internet Explorer has been updated and is causing all kinds of grief for recharter. First try not to let your copy of Internet Explorer update to the newer version. Second set your copy of Internet Explorer to compatibility mode when running the website. University of Scouting !! !Price Reduction Through Dec 13th!!! THIS IS THE LAST WEEK TO REGISTER!!!! SIGN UP NOW!!! The registration fee for the 2014 University of Scouting will be rolled back to the price of $35.00 and the twilight registration fee of $45.00 has been eliminated as of today!! The $35 registration fee will remain in effect until the close of registration on December 13, 2013. Walk-up registration is no longer an option. If anyone (non-instructor) registered at the $45.00 price they will receive a refund of $10. If you registered at the early bird $25.00 price prior to November 1st your registration fee will remain at $25. Instructor registration fees remain as-is. As a reminder please visit http://www.c10univ.org for University of Scouting details regarding registration, class information and scheduling. Eagle Scout rank requirements change effective January 1, 2014. Beginning on that date, Scouts will need to complete the cooking merit badge in order to receive the rank of Eagle. Additionally, the sustainability merit badge may be substituted for environmental science. To assure that all Scouts who wish to complete their Eagle rank before the new requirements go into effect are able to do so, the district is expanding the number of boards of review available on December 12th. Please contact Brenda Fee, District Advancement Chairman to schedule a BOR on that date or with questions. Brenda may be reached at brendafee1@gmail.com. Calling all LDS committee chairs. Jordan Ray, the field director over our district, will be at the Eldorado Building to accept the paper portion of the December recharter this coming Wednesday from 6 to 8 pm. Stop by with your completed paperwork and meet Jordan. For those of you needing Face to Face Youth Protection Training for winter camp or even summer camp next year or simply for recharters we have one this Tuesday, December 10th. Sign up here. Walk-ins are welcome. Due to the inclement weather it has been decided to cancel Round Table tonight and the Order of the Arrow Chapter Meeting (12/5/13). 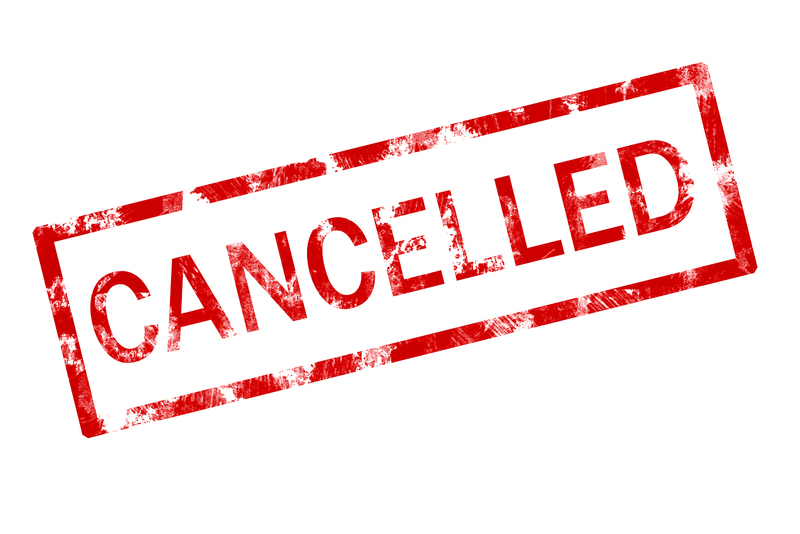 Tonight was supposed to be the Webelos Meet the Troops Night and we regret the need to cancel that event but for the safety of the scouters from our district we think cancelling tonight's meetings is necessary. Thanks for your support. Commissioners will be meeting Dec 4, 2013 at the LDS Church, 2801 Eldorado Pkwy. Mckinney 730 PM. Troops come setup a table to highlight your troop. Webelos and parents, come visit the troops on Thursday, December 5th at 7:30 pm. This will be the Boy Scout Round Table for December. We will be at the LDS building; 2801 Eldorado Pkwy, McKinney, TX. See you there. For December Round Table meeting the Cub Scout leaders will be joining the Webelos and Boy Scout leaders for the Webelos Meet the Troops Night. Hurry and sign up this week before Regular Registration ends and your class is still available. After this week the price jumps. Fee Graduated ($25,$35,$45,$50) depending on date of registration. See below. We would like to introduce our new District Chairman, Bob Roeder (right), and welcome him to the position. We also have a new District Vice Chairman and Friends of Scouting Chairman, Charles Meachum, and a new District Commissioner, Greg Meals. Hopefully you will get to know all of them soon. Looking for volunteers to sort, load, & clean up at the Popcorn Warehouse next Thursday & Friday. The American Legion Post 96 will be conducting a "Flag Retirement" aka "Flag Disposal" ceremony on 11/16/2013 @ 10am. This counts toward service hours. This will last several hours, depending on the number of flags to be retired. Scouts that would like to participate (full-uniform for service hours) are invited to attend.